he Passenger by Lisa Lutz. Simon and Schuster. 2016. Library copy. The Plot: What's a woman to do, when her husband falls down the stairs and accidently dies? Well, I guess some women would call the police and believe that because they didn't do anything, it would all end up alright. Those are the women who wouldn't dream that anything bad would happen, that anything would go wrong, because bad things don't happen to good people. Then there are the women who know better. Who see that the world isn't fair, and bad stuff happens for no reason, and secrets can be dangerous, and the best thing to do is to pack a suitcase and run. Tanya Dubois is the type of woman who knows better than to stay around. And the reason she knows this, is, well, needless to say, Tanya Dubois isn't her name. And she has a story to tell you. Just, as she tells you -- keep an eye on your id and your credit cards and your cash. The Good: A mystery. No, not the mystery of Frank (that's the name of Tanya's husband) (the one at the bottom of the stairs.) The mystery of who Tanya was before she was Tanya, and why she is Tanya, and what she is running from. And I don't want to give away too many twists and turns. But I'll say this; there is a bit of wry humor to the story, and in some ways you have to be as self-centered and focused on Tanya as she is herself. You can't think of the people whose names she takes, of those she lies to, of people who are hurt because they happen to be in her way. It's Tanya's story. Not theirs. She has to take care of herself, put herself first, if she wants to stay out of prison. If she wants to stay alive. Some of the people whose paths she crosses, some you can trust. And some you cannot. And yes, you'll start wondering, can you even trust Tanya? Or whatever her name is? And you'll start wondering, what would you do, if you had to leave all you knew, including your name? How could you start over with nothing but yourself? 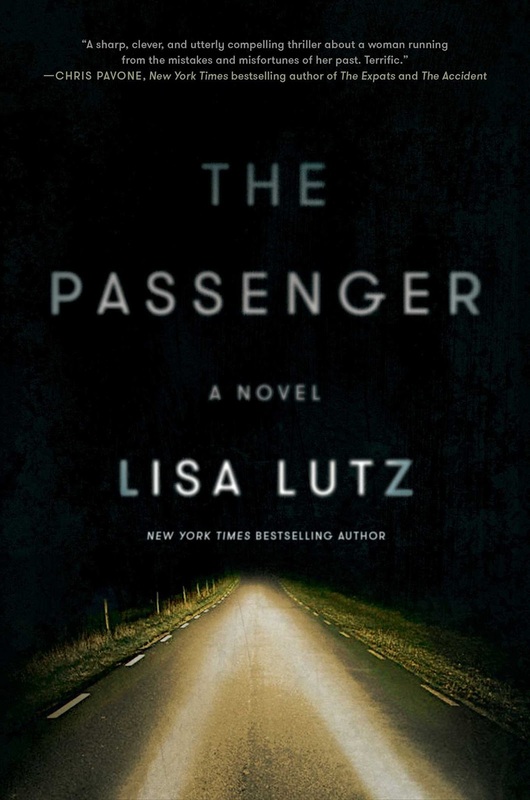 My last thoughts -- what I liked best about The Passenger was Tanya. Because she gets up and keeps going. Because she's a survivor. Because she's a decent person who is impossible situations, just trying to figure out how to put one step in front of another. And because of who she is and what she does, her cleverness, I kept picturing Kristen Bell as Tanya. Teen Appeal: This is an adult mystery, but there is some teen appeal. Tanya is an adult -- not yet thirty -- but there are flashbacks to her teen years. And then there is the whole aspect of invention and reinvention and survival.